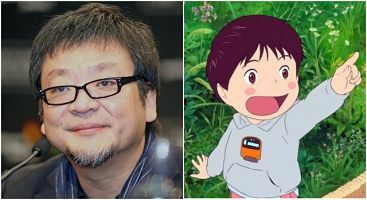 Check out My Animation Scoop Q&A with Oscar nominated ‘Mirai’ director Mamoru Hosoda. Lights Camera Jackson (a.k.a. Jackson Murphy) began his career as a film critic/entertainment reporter in 2006 at the age of 7. Jackson has written over 1,000 reviews of new releases. All together he has seen more than 1,500 films. In 2010, Jackson became the youngest person to win a NY Emmy Award, for his on-air movie reviews on Time Warner TV station, Capital News 9. Jackson is a member of the Broadcast Film Critics Association. The BFCA’s annual Critics Choice Awards is one of the industry’s most respected awards shows. Jackson is also a member of SAG-AFTRA. He votes annually for the Screen Actors Guild Awards. LCJ’s movie reviews can be found on his website, his YouTube channel and the popular website Cultjer.com. He is also a contributing writer for Jerry Beck’s AnimationScoop.com. Jackson hosts the weekly internet pop culture news show “LCJ LIVE” (every Sunday at Noon ET). And “The LCJ Q&A Podcast” features interviews with celebrities and filmmakers. Among those who have joined LCJ on the show are comedy legend Gilbert Gottfried, “Wallace & Gromit” creator Nick Park, Emmy-winning game show host Todd Newton and Oscar-winning screenwriter Diablo Cody. Lights Camera Jackson has been co-starring in photographs with his favorite celebrities since he was 6 years old. “American Idol” host Ryan Seacrest appeared in the first. Seacrest was a VIP guest at a local telethon. Jackson, a big fan of “Idol”, approached Seacrest during a break and asked for an autograph. The “Idol” star eagerly obliged. Jackson and Ryan then posed for this photo. Since then Jackson’s collection of photos with stars from film, TV, stage and sports has grown to over 400. Every one represents a special moment in the life/career of Lights Camera Jackson and includes its own unique backstory.